Let It Be – and so it shall be as Sir Paul McCartney has won back the rights to the Beatles songs he lost to Michael Jackson over 30 years ago. McCartney lost the publishing rights to the quartet’s songs when Jackson outbid him to buy them for a reported £31 million pounds and was disappointed again when they were not left to him in Jackson’s will when the singer died in 2009. The duo were friends and even teamed up for songs like “The Girl Is Mine” and “Say, Say, Say” before the King of Pop’s move turned caused the relationship to sour. 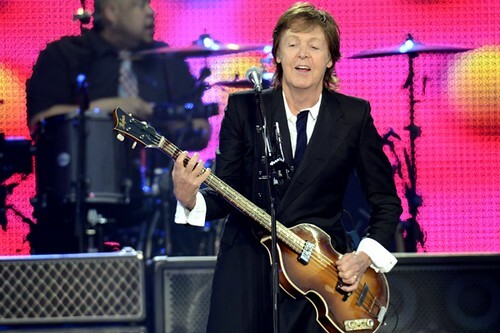 McCartney, who has his own star on the Hollywood Walk of Fame, will regain the songs and be able to claim the titles and earn royalties and licensing money in another five years under the US Copyright Act. Under the Act songs written before 1978 become the property of the songwriter after 56 years. This means McCartney will regain most of the songs by 2026. McCartney, who recently married for the third time, following an ugly divorce from Heather Mills, is already worth a reported £680 million. Back in 2005, Sony paid Jackson £62 million pounds for 50 per cent of the rights to the back catalogue. It is not known how much the catalogue is worth these days.